Whether you’re in the car on a long autumn road trip, or you’re curled up inside your caravan with your device, there are plenty of apps to give you fresh ideas and inspiration for planning the rest of your trip. Research is key to making any trip run smoothly, and these apps are here to help you out. This comprehensive app is your first port of call for discovering high-quality restaurants, bars, wineries and provedores across Australia. If you’re looking for the perfect place to enjoy a glass of red and a top-notch cheese on a crisp autumn night, the Australian Good Food Guide (AGFG) app has you covered. When the weather gets colder, what’s better than wrapping your hands around a warm mug of good coffee or hot chocolate? Originally launched in Melbourne, Beanhunter helps you find and share great coffee from all over Australia and the world. With this app, no matter where you’re travelling in Australia, you’ll always have access to up-to-date information about where the best brews in the area can be found. There are many websites and apps that can help you discover and plan your bushwalking routes, including Australian Topo Maps, an easy-to-use outdoor navigation tool. It includes detailed topographical maps across the states and territories, with hillshade images, bicycle routes and other useful features to make your bushwalking adventures run smoothly and safely. If you’re keen to savour local produce throughout your travels, this app is the perfect tool for you to locate fresh food straight from the source. With a strong commitment to supporting and celebrating local food, the Local Food Loop gathers local growers, farmers, markets, cafés, breweries, eateries and grocers in one easy-to-use app. If you’re looking to take the stress out of finding an ideal spot to park your van this autumn, then look no further than Wikicamps. 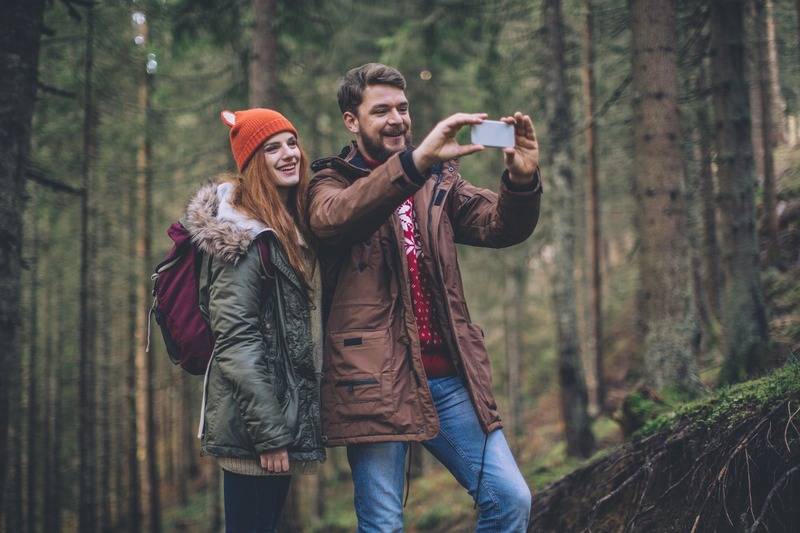 This app draws upon an enormous database of camping grounds, caravan parks, backpacker hostels, picnic areas, public dump points, regional information centres and areas of interest. You can browse through thousands of camp sites, with plenty of information about what the site has to offer and things to look out for, including prices, site photos, local weather forecasts, pet- friendly status and directions.